The annual election for town offices in both Fairhaven and Acushnet will be held on Monday, April 1, 2019. For both towns Thursday, 2/7/19, at 5 p.m. is the deadline for request­ing nomination papers. Mon. 2/11/19, at 5 p.m. is the deadline for turning in nomination papers to the town clerk’s office. Wed., 2/27/19 is the last day to withdraw papers. Tuesday, March 12, 2019, is the last day to register to vote for the town elec­tion. Boh Town Clerk’s offices will be open until 8 p.m. that day. In Fairhaven you may register to vote any day from 8:30 a.m. to 4:30 p.m., Monday through Friday, at the Fairhaven Town Clerk’s Office, Town Hall, 40 Center Street, Fairhaven. In Acushnet, you may register to vote at the Town Clerk’s Office, Parting Ways Building, 130 Main St., Acushnet, Monday, Wednesday, Thursday 8:00 a.m.–4:00 p.m., Tuesdays 8:00 a.m.–7:00 p.m. Fridays 8:00 a.m.–11:30 a.m.
After picking up nomination papers, candidates must gather the proper number of signatures to appear on the ballot. In Fairhaven, to vote at Town Meeting, you must be a mem­ber. You must get nomination papers and gather 10 certified signatures from YOUR precinct only. Acushnet has an open Town Meeting, where any registered voter can vote. In Fairhaven papers for townwide office require 50 certified signatures. In Acushnet, papers for townwide office require 43 certified signatures. Candidates should speak with their town clerk for details. 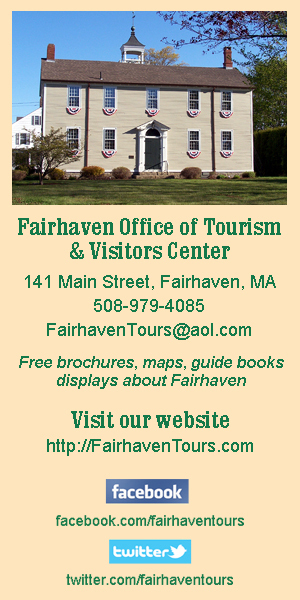 Fairhaven Town Clerk: 508-979-4023, Ext. 3; at Town Hall, 40 Center Street. Acushnet Town Clerk: 508-998-0215; Parting Ways Building, 130 Main Street (adjacent to Town Hall).